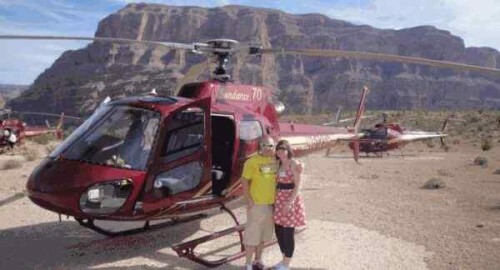 What’s So Special about Grand Canyon Helicopter Tours? Grand Canyon helicopter tours provide a new, unique, and exciting way to observe the famous national park, in all of its glory. Based on local aviation rules, laws, policies, and procedures, a helicopter is permitted to fly approximately 1,000 feet lower than an airplane, which provides a more personable experience for those that want to see and experience of nature’s most awe-inspiring and majestic sites. Getting a bird’s eye view of this large national park is one of the most memorable visual feasts that you will ever experience. Each year, over half a million of the visitors to the Grand Canyon observe the scenery of the park through the means of one of the many Grand Canyon helicopter tours. 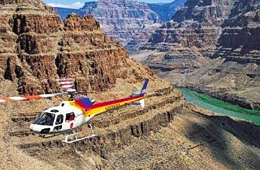 The highest-rated and most exciting tour, by far, is the one offered by “Grand Canyon Helicopter Tours”. In this brief guide, you will learn more about the exciting adventure that this tour company offers visitors. One of the most popular and exciting Grand Canyon helicopter tours is the “All American” option which initiates at the Las Vegas Airport. It takes just 45 minutes to get to the national park, where you will land to enjoy a picnic, complete with the highest-quality champagne. You will then board the helicopter and enjoy a half-day adventure that will allow you to see some of the most popular geological formations and natural sites within the Grand Canyon. On your way back to the airport in Las Vegas, you will fly at a low altitude so that you may enjoy the neon strip in downtown. A specially-designed Tour Trekker will take you to the West Rim of the Grand Canyon from Las Vegas. 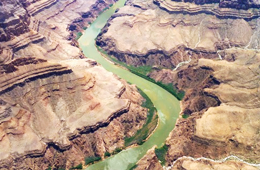 Once you have arrived, a helicopter will then fly you to the bottom of the national park, allowing you to see the Colorado River – up close and personal. You will then get to take a boat ride down the river and explore the West Rim region. This is also considered to be a popular choice when it comes to Grand Canyon helicopter tours! When it comes to comprehensive Grand Canyon helicopter tours, the “Ultimate Tour” is considered to be, by far, the favorite among guests. You will fly out from the City of Las Vegas and then travel to a cruise that will allow you to travel down the Colorado River. Immediately after the cruise, you will get to explore the West Rim region of the national park. You may also choose to visit the Grand Canyon Skywalk, which provides you with the ability to observe a 360-degree panoramic view of the national park. Seeing the Grand Canyon on foot is an amazing adventure, but, seeing it by air is a grand adventure that is sure to leave you with a lifetime full of memories. 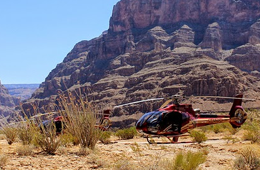 The helicopter tours offered by the “Grand Canyon Helicopter Tours” company are set up to provide you with the ability to observe all angles of the national park – by air, by water, and by foot. By scheduling your tour today, you are reserving a memorable experience that may be shared for many generations to come!